With our fast and modern transit facilities, safe and timely deliveries of consignments are guaranteed. For the safe storage of the entire lot, we have installed our own facility that is laced with all the modern amenities for complete quality satisfaction. 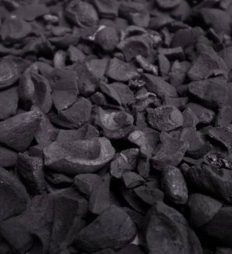 The offered Palm Kernel Shell Charcoal is widely used as fuel in many industries due to its low sulfur and ash content.